Ten years ago, finding ethnic food in a major supermarket was like looking for a needle in a haystack. Companies that stocked foreign-produced items offered limited selections often relegated to a small aisle in the back corner of the store. But all that is changing, and one grocer—the nation’s largest—is leading the way. Over the last decade, Kroger has been expanding its offerings with a focus on improving ethnic food options in more than 2,600 stores. In 2008, the company created a new position and tapped Angel Colón as its first head of multicultural business development. Leveraging data gathered from loyalty cards, Kroger merchandises its stores based on actual customer information. 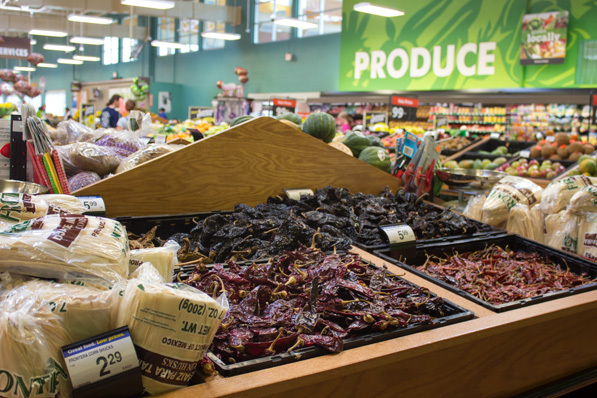 Colón emphasizes the importance of incorporating cultural foods throughout the store to both meet the demands of multicultural customers and introduce Americans to new products. Kroger made a bet back in 2008 that Colón’s expertise could help the company attract and retain a growing base of customers from Latin America and other countries with unique palates—but he’s also reaching average Americans with appetites for foreign foods. “Targeting only multicultural customers is a mistake. Instead, we are engaging all of our customers with a multicultural approach, and that lets us leverage the growth, influence, and popularity of ethnic foods,” Colón says. Armed with the data, executives can make better merchandising and procurement decisions to optimize assortments based on who is shopping in a specific location. In many stores, Kroger is integrating ethnic and traditional food products. By placing Maseca corn flour (a Mexican product used for tortillas) next to white flour, Kroger allows multicultural customers to see the entire assortment while Americans get exposed to an international choice. Before Colón’s arrival, Kroger had a handful of stores that were engaging international shoppers. The efforts, however, lacked cohesion. Today, Colón and Kroger leadership have built a centralized team aligned with the company’s strategic direction. “It’s hard to move the world with two hands. We have a lot of talent around Kroger that continues to make this happen,” he says. 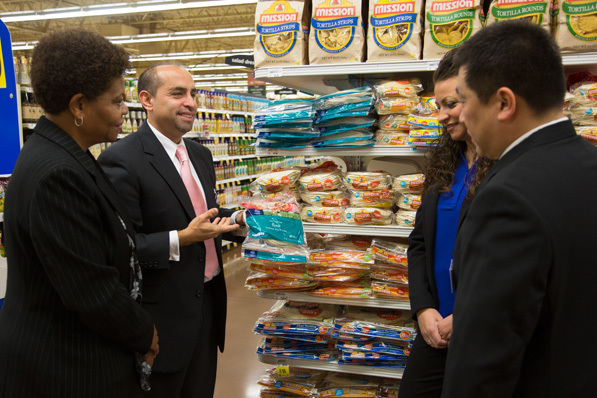 Together, Colón and his associates are helping Kroger understand the potential of obtaining multicultural customers and engaging all customers with ethnic foods. They’re also working on expanding a strategy for inclusion on marketing and promotional materials. In the coming years, Colón hopes to close the multicultural gap and gain more share in the international category by putting international food on more tables across the country. Today, when Colón walks up and down the aisles of a Kroger store, he sees something very different. Ethnic foods are no longer hidden in back corners or shoved to the side. “The days of international foods for international customers are gone. International food is for everybody,” he says. Changing demographics are changing American cuisine. Experts predict the Hispanic food and beverage market to grow from $8 billion to $11 billion in the next two years alone, and salsa has topped ketchup as the nation’s number one condiment. The potential is there, and if Kroger can engage all customers, the company will retain its spot atop a notoriously competitive industry.